Multiplatinum-Selling Group Drax Project Teams Up With Hailee Steinfeld on New Anthem "Woke Up Late"
New Zealand sensation Drax Project celebrates the New Year by teaming up with multiplatinum-selling artist and Academy® Award-nominated actress Hailee Steinfeld for a fresh take on the infectious pop anthem "Woke Up Late" . The track pairs smooth pop vocals, an irresistible beat and unapologetically candid lyrics detailing a night out / morning in. 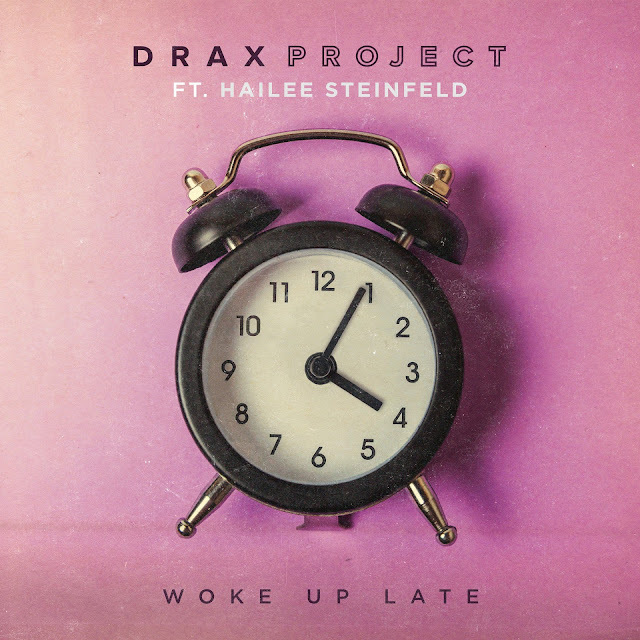 With the addition of Hailee's vocals, the collaboration exudes a contagious, bouncy energy that's sure to be on repeat on your playlist. ""Woke Up Late" is about wrapping your head around the adventure of the night before and ultimately deciding that you're cool with it. Given the nature of this story, it did cross our minds while writing it as to how it might work as a duet - with a female voice telling her side. We're all huge big fans of "Starving" and "Let Me Go," so were beyond stoked to get Hailee on the song! She absolutely kills it in movies and in music. We feel like having her vocals take both the sonics and the feel of the song to another level!"